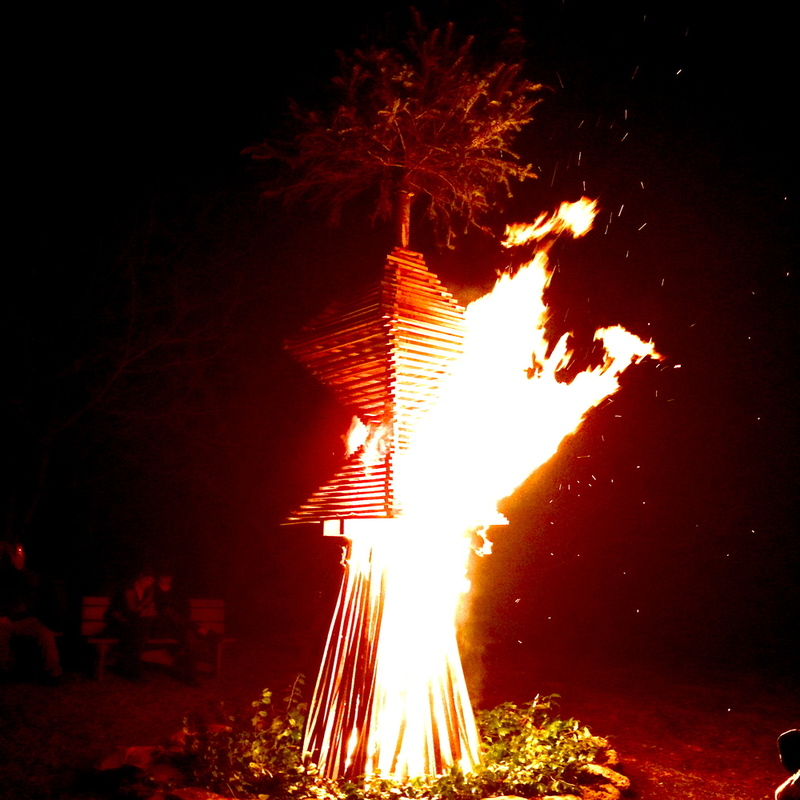 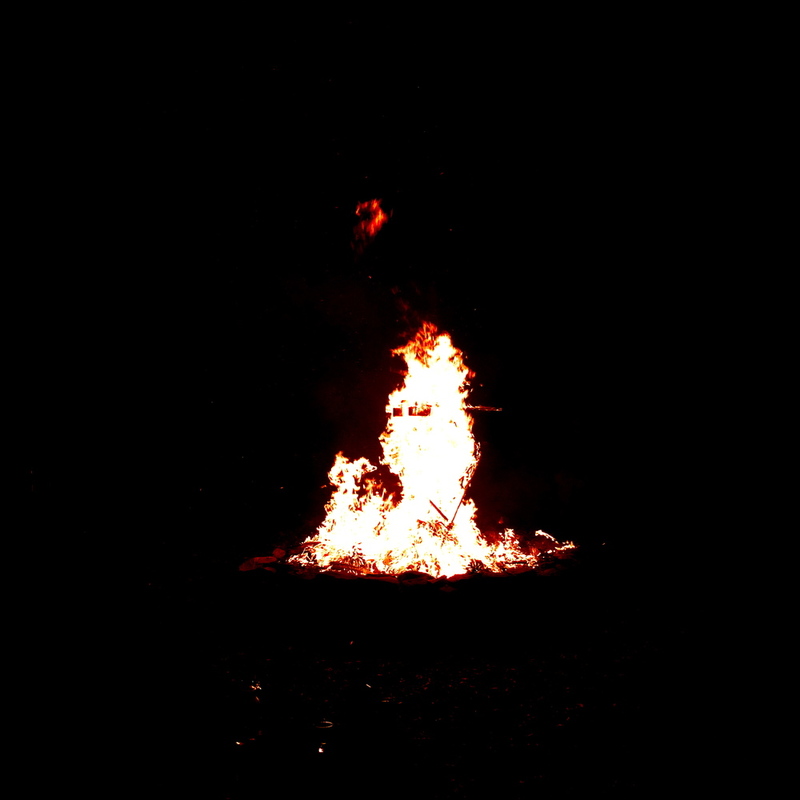 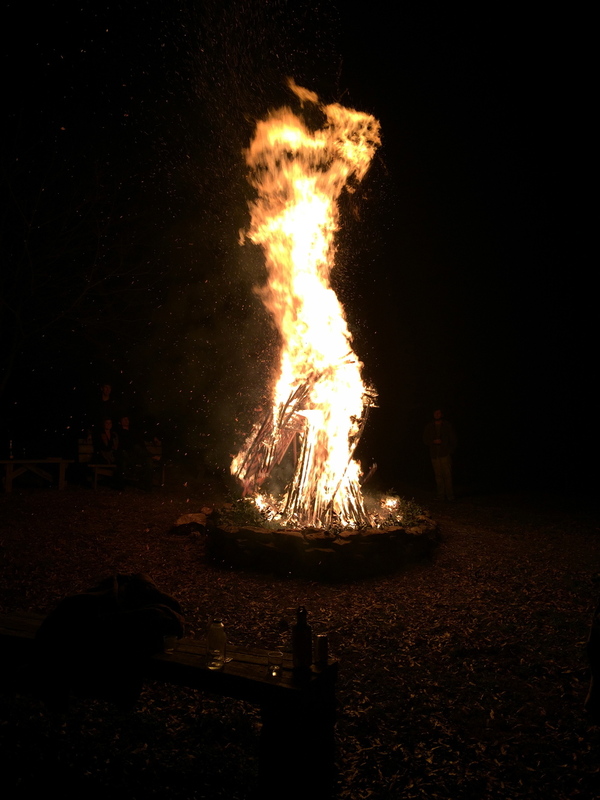 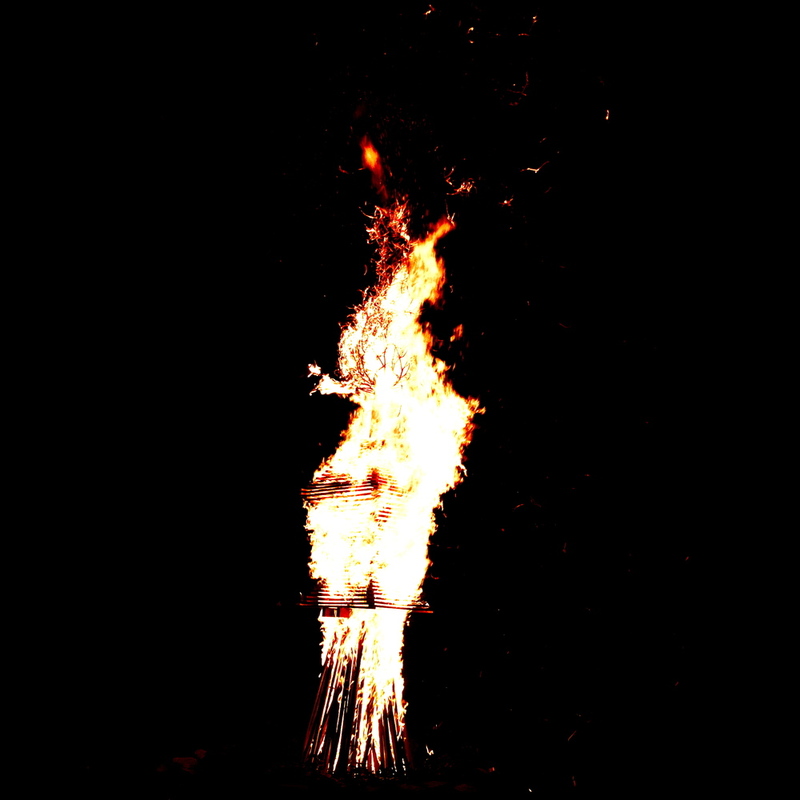 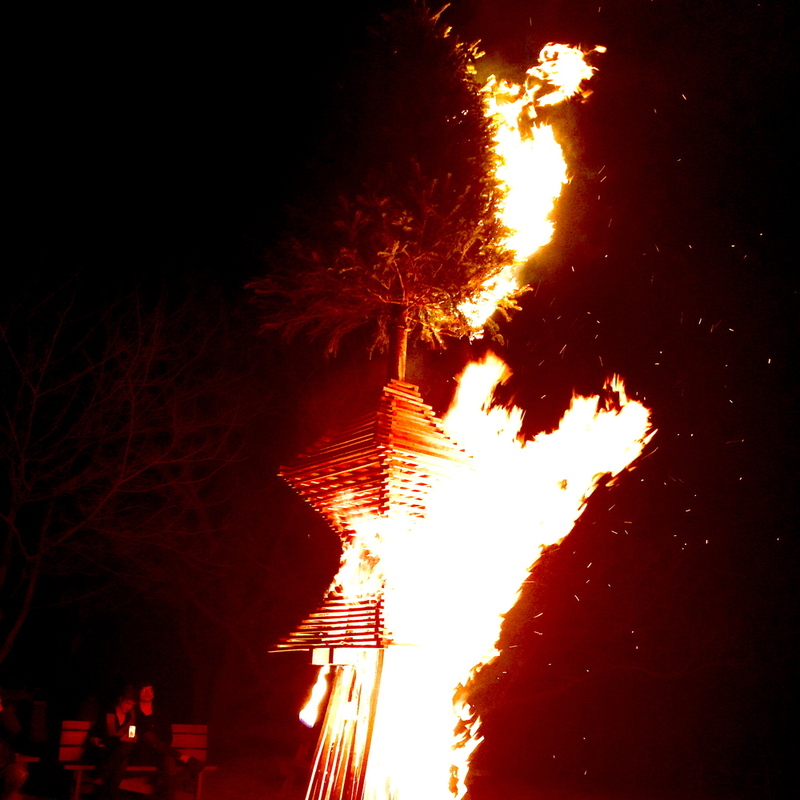 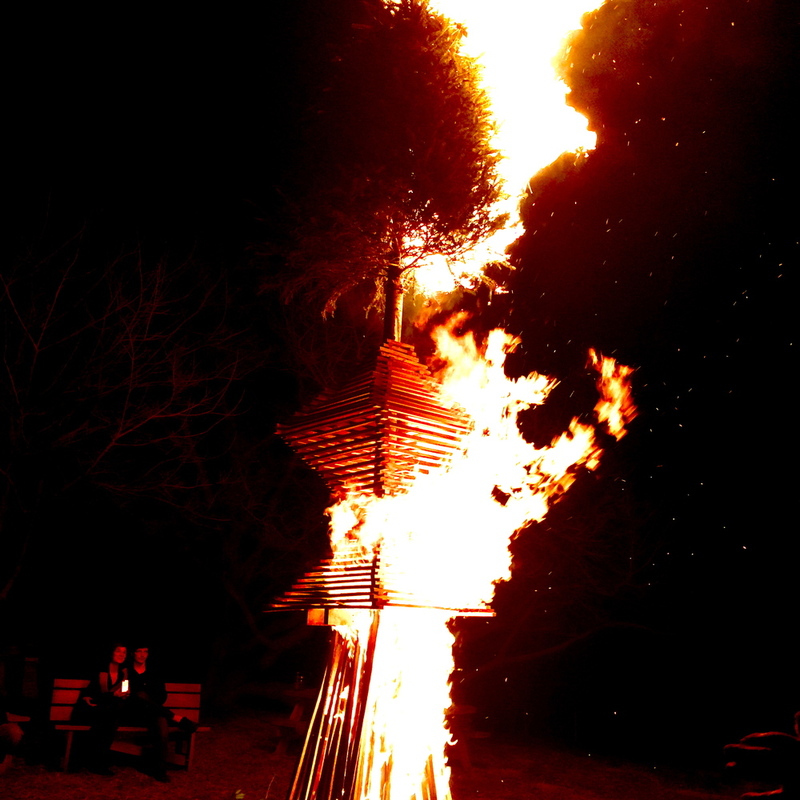 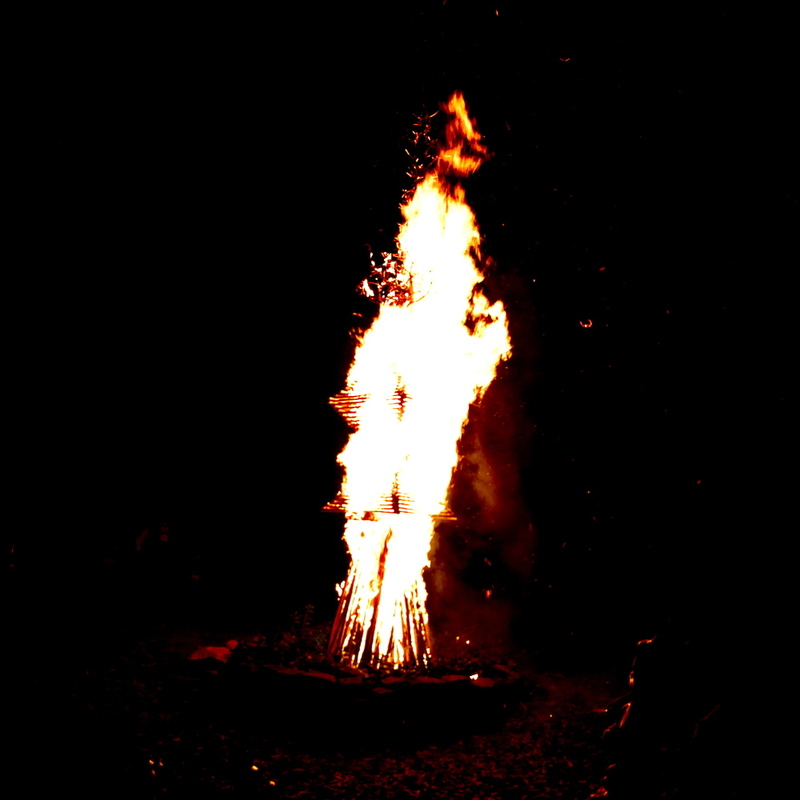 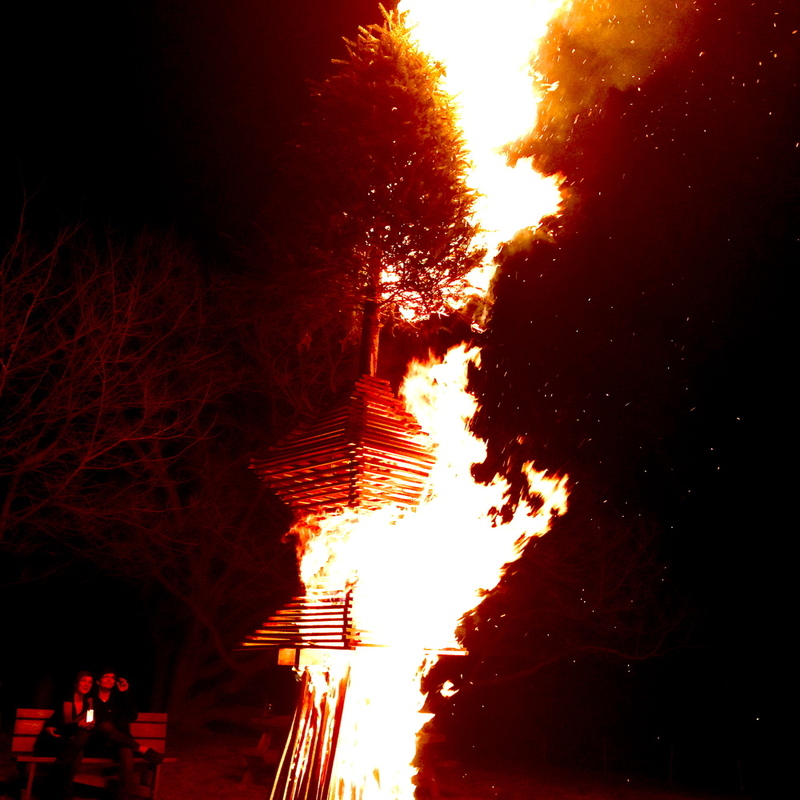 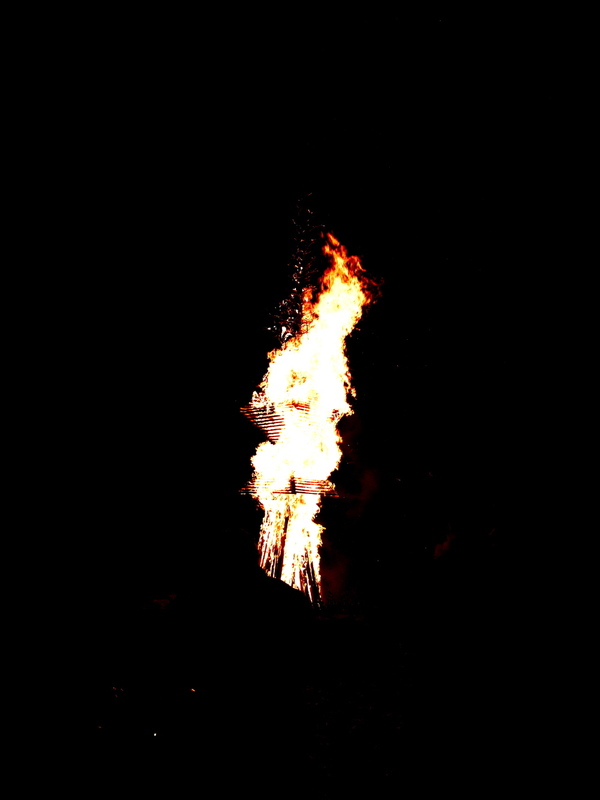 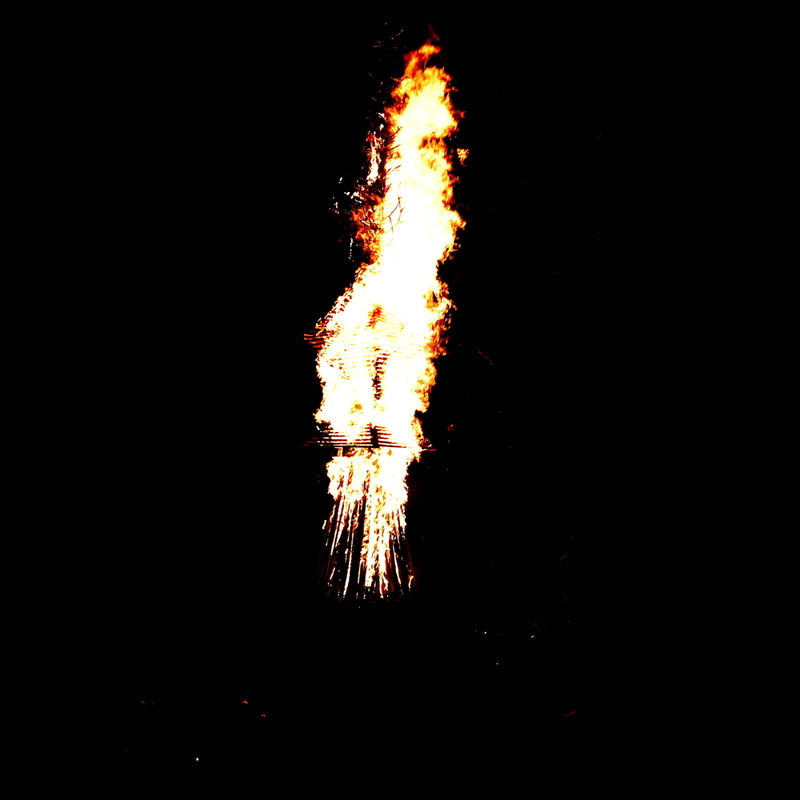 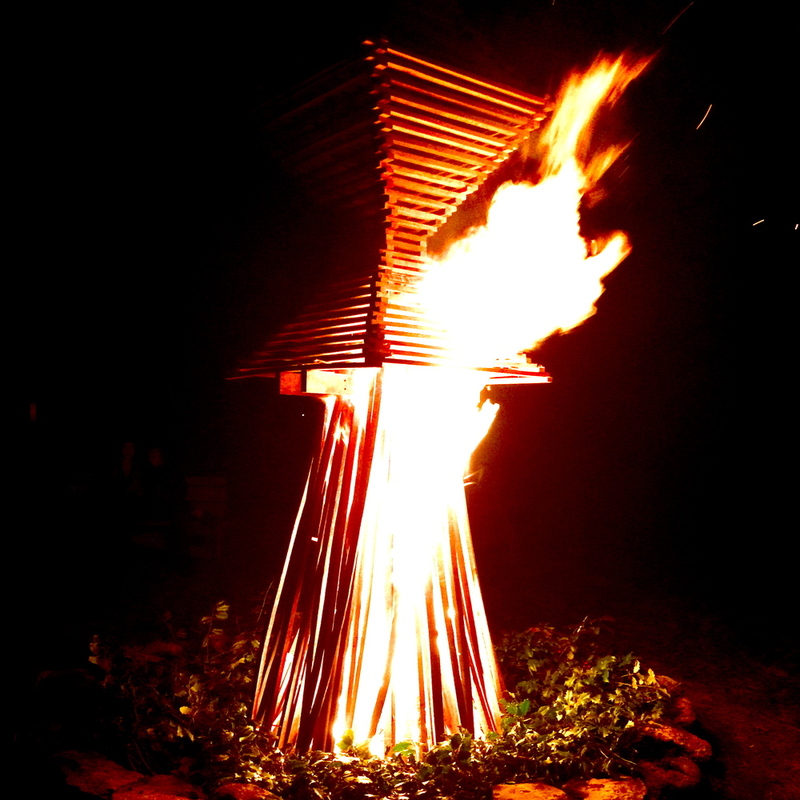 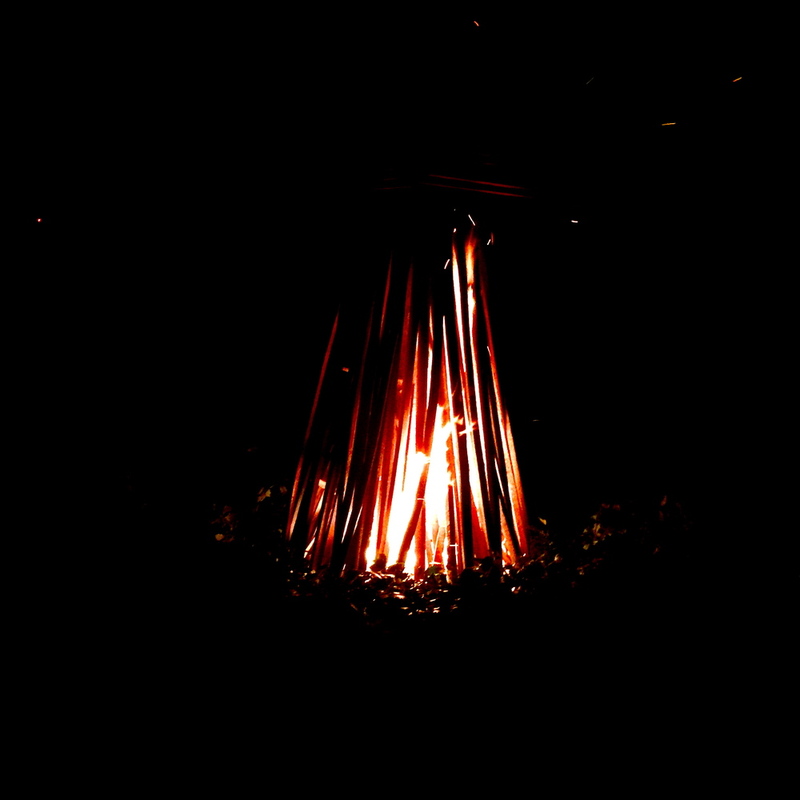 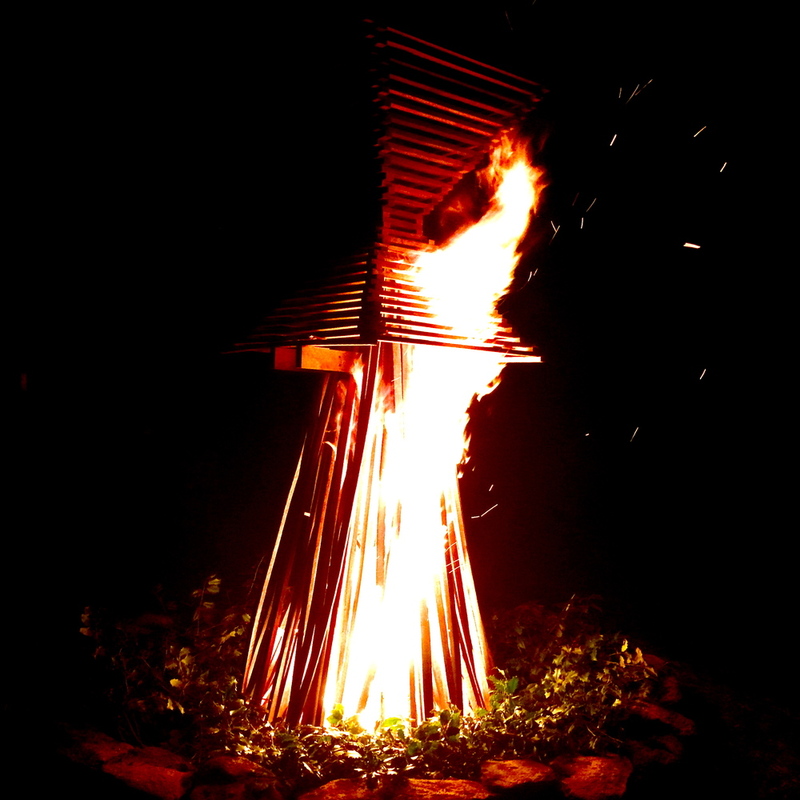 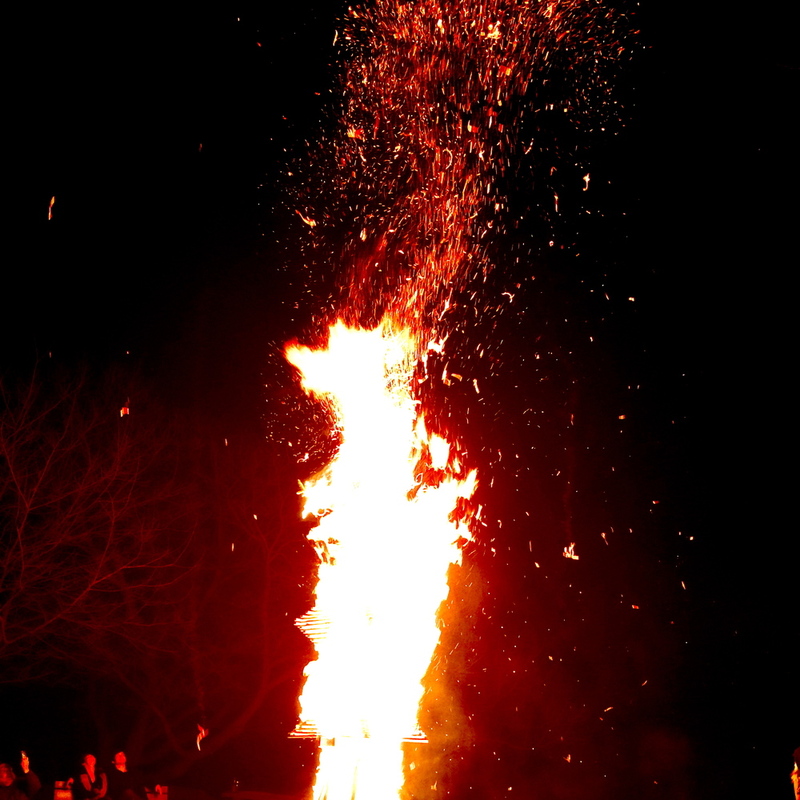 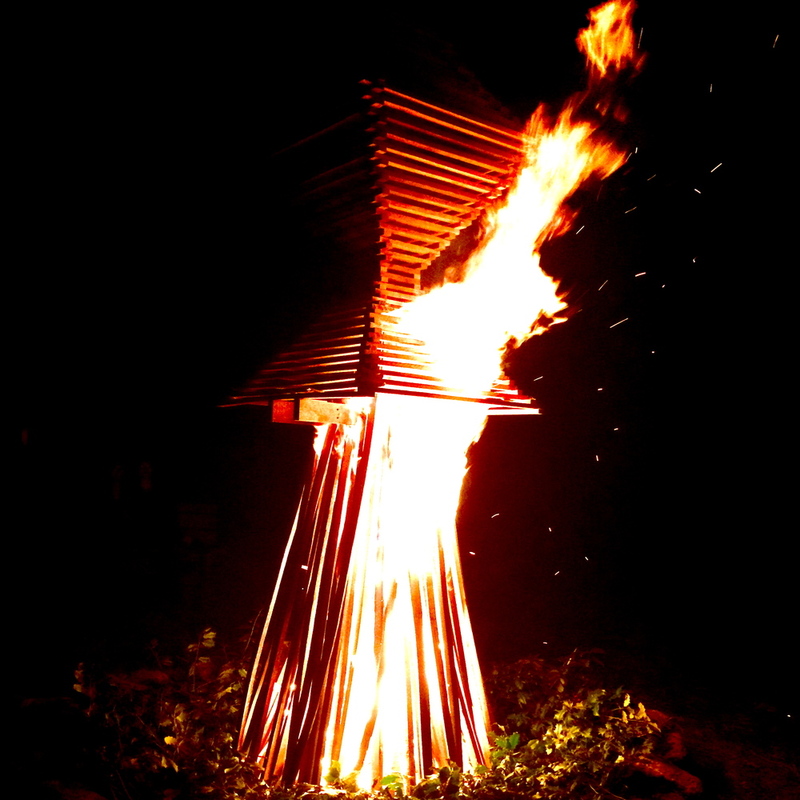 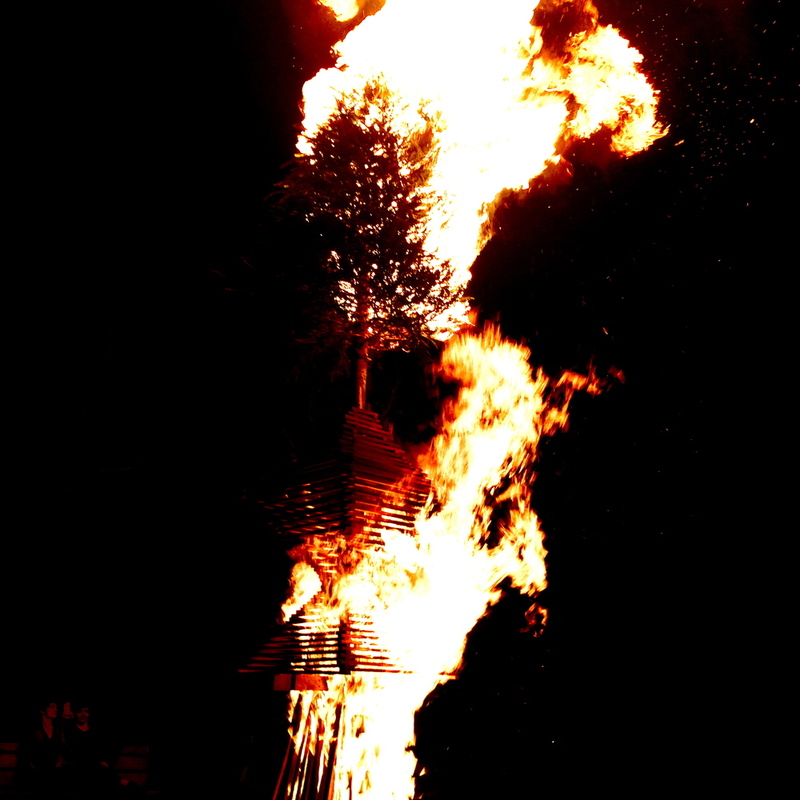 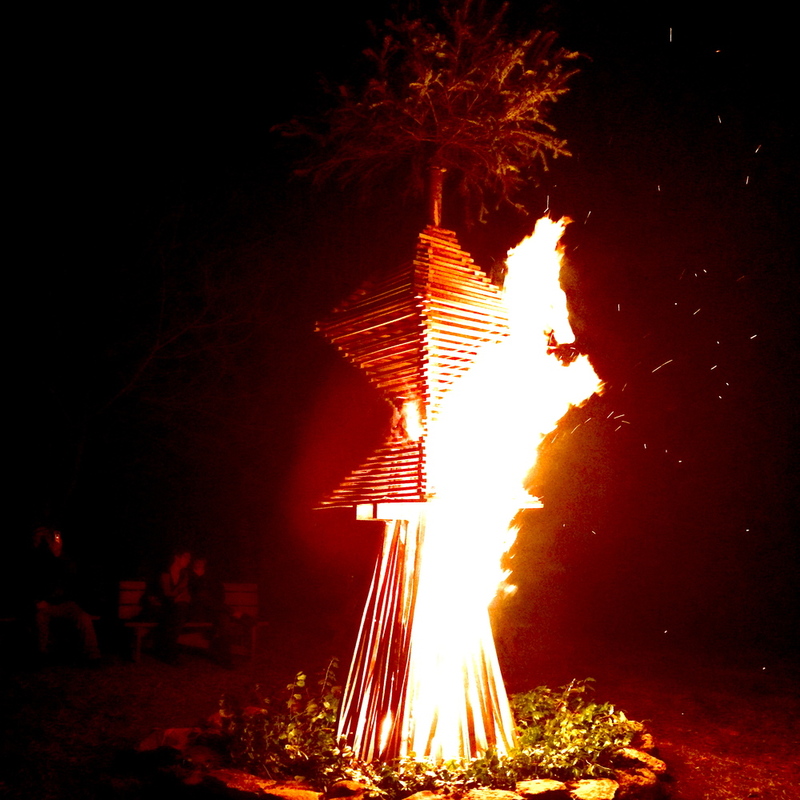 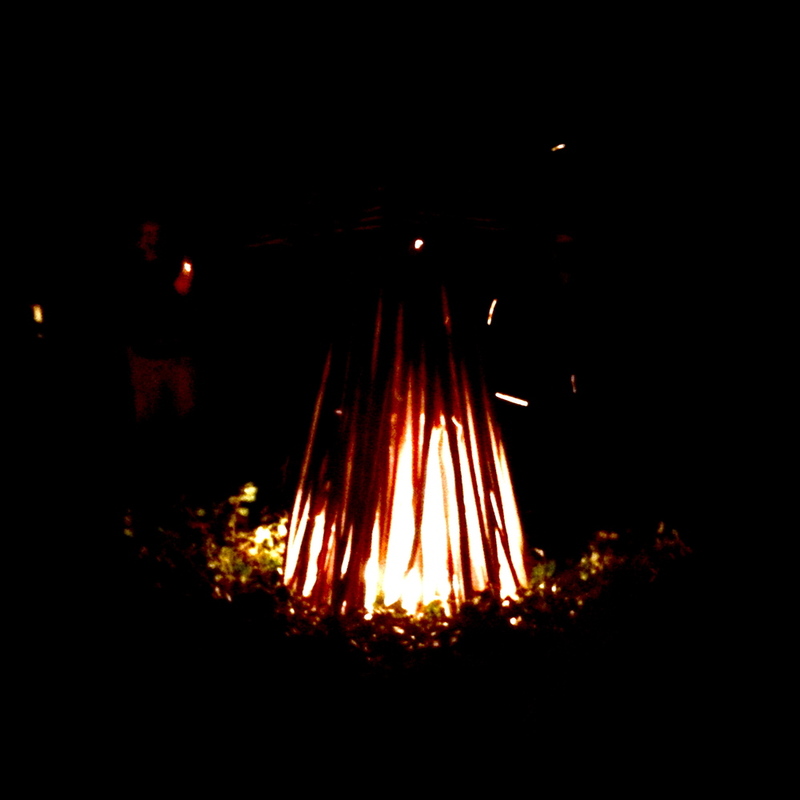 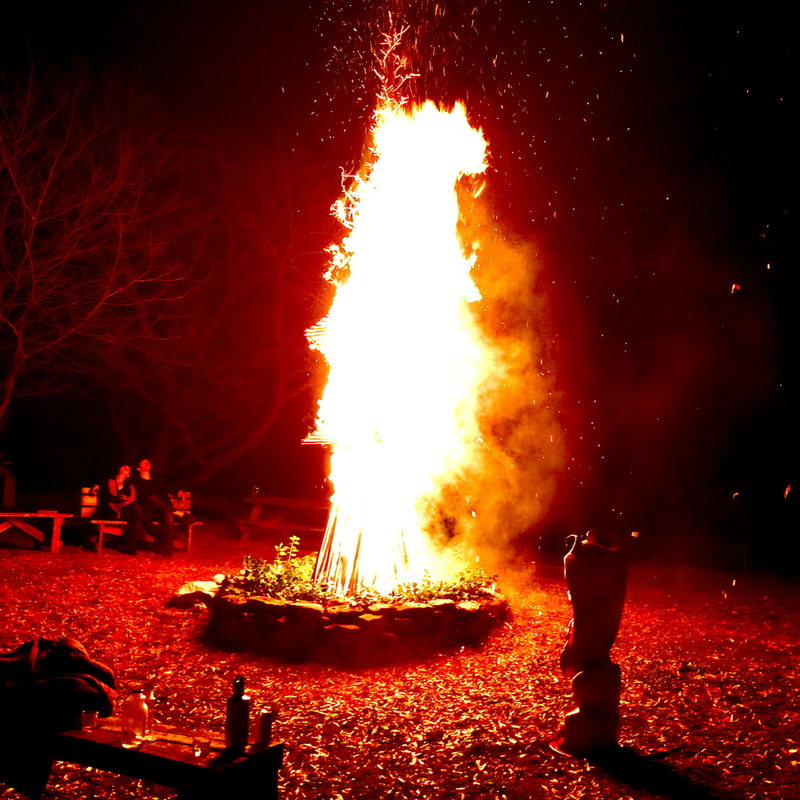 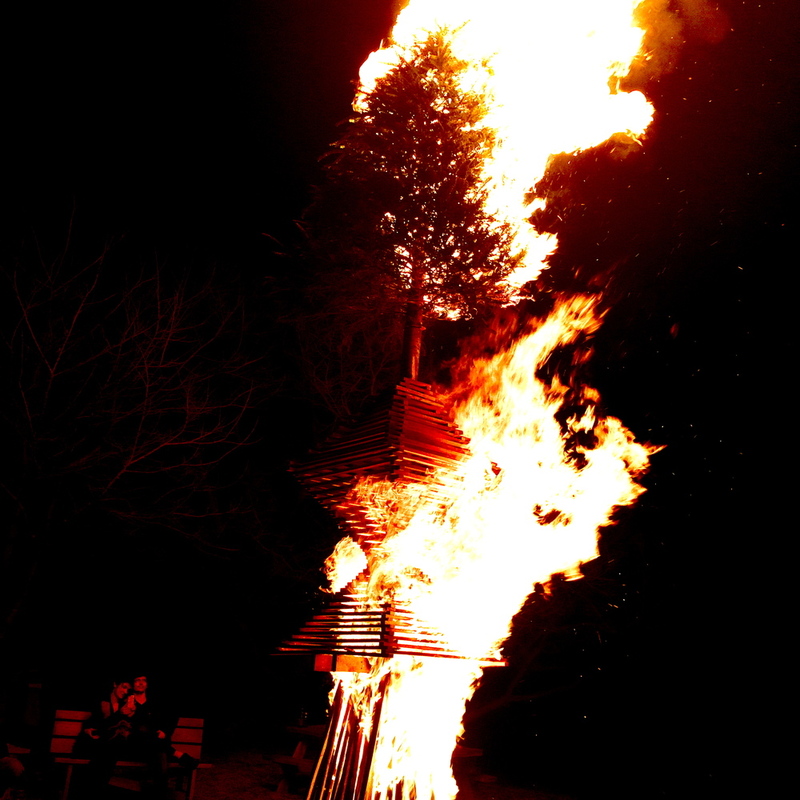 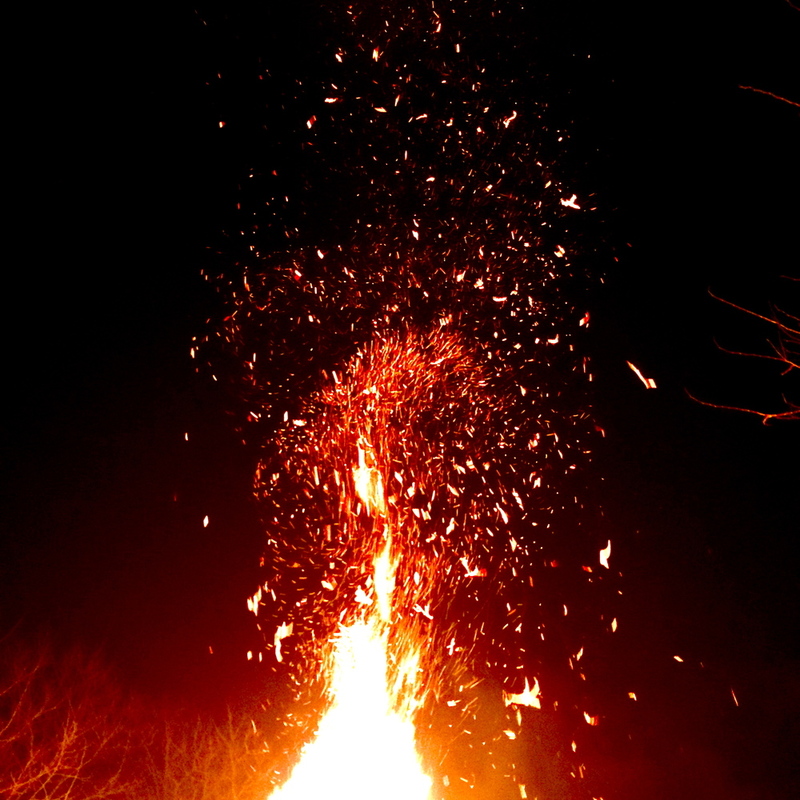 We watched one of our hosts spend an entire day building the structure to hold the tree that would be burned that night. 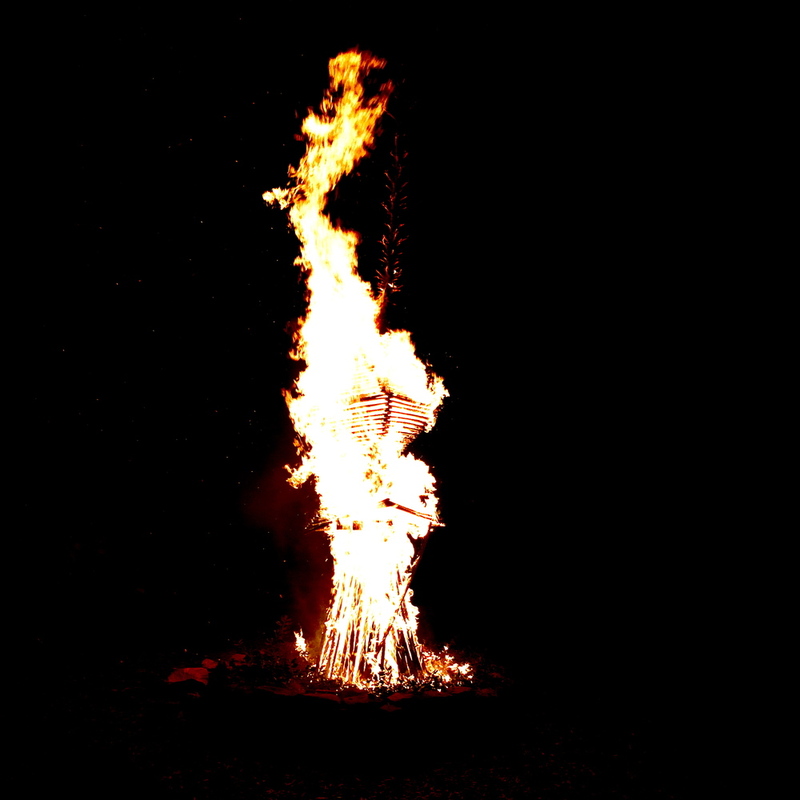 It was a ceremony. 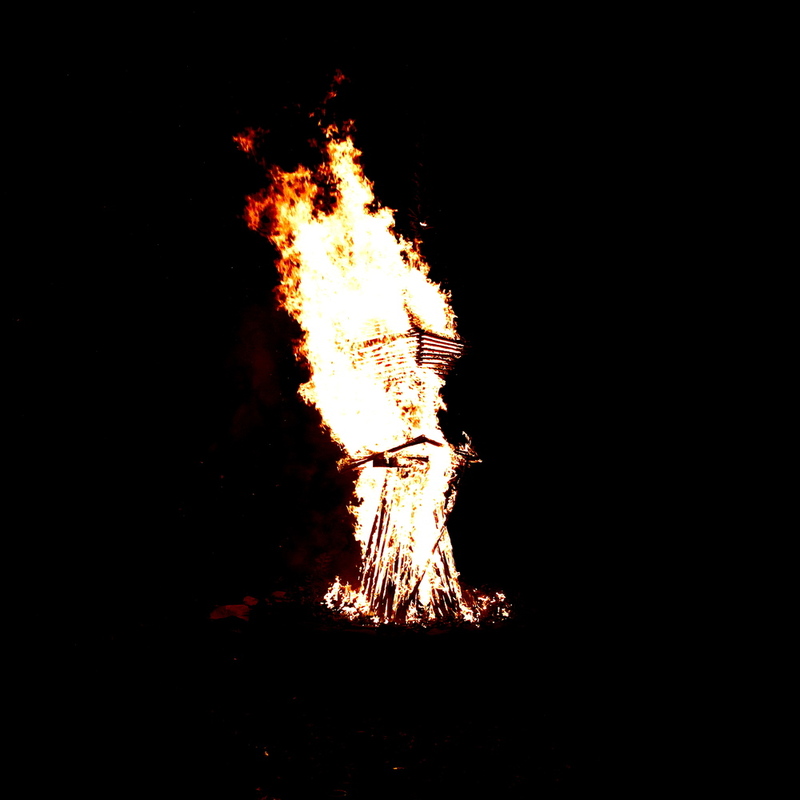 We all wrote on individual pieces of paper, the things in our lives we wanted to change, let go of, and harvest, and wedged them in between the sticks of wood to be burned with the tree.